This past week, we welcomed and hosted a group of Angel and VC investors from Peru and Chile who came to San Francisco to attend a special track of our program: Silicon Valley Immersions, which are designed for such high level audiences at the University. As we played host to this impressive cadre of individuals, I could not help but reflect on the changes that are taking place in Latin America. My first trip outside of Argentina, took place during the first quarter of 1973, immediately after completing my Electrical Engineering studies at the Universidad Católica de Córdoba, Argentina. 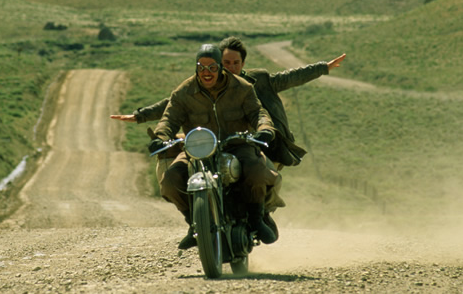 While visiting Bolivia, Peru, Ecuador, and Chile with $200 US dollars in my pocket and an improvised sleeping bag, my best friend and I made our own “Motorcycle Diaries” twenty years after Ernesto ‘Che’ Guevara’s original journey. Unfortunately, we were too poor to afford a motorcycle, so we made our way across the continent by hitchhiking or paying passing truck drivers 25 cents to let us ride on top of their trucks. During that journey, we didn’t require much field research to conclude that Argentina was well ahead of the four countries we visited. Argentina had better roads, universities, a larger middle class, and an all-around better quality of life. It was at that time as a young man that I discovered both the potential of and contrasts in Latin America, la “buena gente” we met during our journey, and the easy smile and warmth during an incident-free 2.5-month journey! For most of the last century, it was often said that when the US caught a cold the rest of Latin America caught the flu. In this new millennium, that paradigm seems to have changed. As the US and the EU were hit with the most severe recession since the Great Depression, Latin America experienced a decade of unprecedented growth. In fact, many Latin American countries have displayed annual GDP growth between 4 and 10% except for a short blip lasting one or two quarters in late 2008 and early 2009 in the range of -2 to 2%. What explains this significant departure from the last century? Since the start of the 21st century, a new set of trading partners has emerged to pick up where the EU and the US left off: China, Brazil, and India followed by other emerging countries. This factor added, along with the high price of commodities (i.e., mining products, energy, soy beans, and other agriculture products), led to sustaining the export growth to fund badly needed infrastructure projects, which in turn enabled trade and the development of value-added industries. As the first decade of the new millennium came to close, the EU and the US were dramatically displaced and were no longer the top trading partners of most Latin American countries. While some countries used this new-found bonanza to fund new populist programs and sustain internal consumption without a rainy day fund, other countries embarked on a set of policies to bolster long-term development and job creation to draw vast portions of their populations out of poverty. These long-term strategies raised the standard of living and vastly improved the quality of life for these countries’ citizens. Unfortunately, in the last decade the US policy has completely left Latin America in the dark. In the wake of 9/11, the US has been distracted by two wars of questionable judgment interspersed with other violent encounters as they police the world with borrowed money. Hence, Latin America has been strongly incentivized to finally break its dependency from the US and start developing its own identity in the global community. In some instances populist governments have played a role in giving shape to this new identity, promising to feed the consumption aspirations of the majority and echoing populist sentiments against the ‘enemy du jour’. However, other Latin American countries have decided to follow Chile in its quest to develop and hence Brazil, Peru, Colombia, Panama, and Uruguay seem to be pacing their way towards a development. At this past week’s Silicon Valley Immersion, I could not help but feel a bit envious of the Peruvian and Chilean Angel and VC investors. All of them were confident and optimistic about the futures of their respective countries, and I must admit I wished very much I could also be equally optimistic about my own. This group arrived to the San Francisco Bay Area curious and wanting to learn how to transform their own geographies into vibrant clusters of Innovation and Entrepreneurship. Their 3 days were intense, packed with visits, lectures, and networking events. Each day brought opportunities to identify best practices, local adaptations, and unique opportunities to link our Bay Area Knowledge Economy to Lima or Santiago. Since their return I have received countless e-mails and calls about next steps. I am confident they will make it happen. Unfortunately, for some of the other countries in the region, they may have to wait for the next decade. The University of San Francisco (USF) is a Catholic Jesuit university and the oldest in San Francisco. Diarios de Motocicleta is a 2004 film about the journey and written memoir of the 23-year-old Ernesto Guevara, who would several years later become internationally known as the revolutionary Che Guevara. The film recounts the 1952 expedition, initially by motorcycle, across South America by Guevara and his friend Alberto Granado. Except those countries that export oil and gas to the USA, in particular Mexico and Venezuela. Iraq and Afghanistan and other incursions such as Libya. Un poquito enganoso el titulo, pero tiene gancho….